Explanation: A camera fixed low to a tripod on a northern summer's eve captured the series of images used in this serene, southern Ontario skyscape. The lakeside view frames our fair galaxy above calm water and the night's quintessential luminous apparitions. But the trails of light are neither satellite glint, nor meteor flash, nor auroral glow. 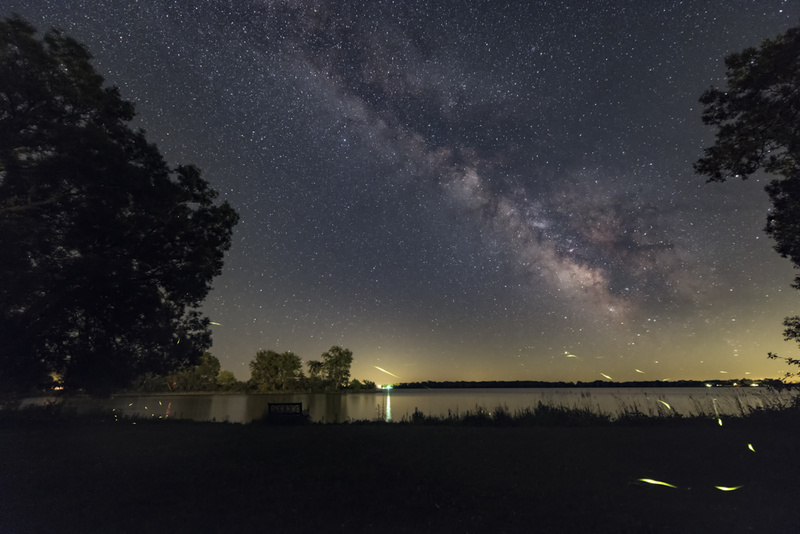 In the wide-field composite constructed with four consecutive 15 second exposures, a pulsing firefly enters at the right, first wandering toward the camera, then left and back toward the lake, the central Milky Way rising in the background.